Since my last All Things Virtual there has been a massive amount of news coming out of the virtualisation arena. One of the main sources of these were due to VMworld Europe happening from the 11th to the 14th of October. I was fortunate enough to attend and I was very pleased with the amount of views my All Things VMworld Europe Day1, Day 2 and Day 3 blog postings received. Due to there being such a large amount of time between All Things Virtual 18 and All Things Virtual 19 (a month and a half) there are a few articles on my list that are a few weeks old but nevertheless still brilliant and so I kept them on here. As I have said before I ,like a large number of other professionals in the virtualisation field am preparing and studying for the VCAP exams. For my own usage and because amazingly a few people sent me messages saying that my VCP4 Study Resources(Part 1, Part 2) proved very helpful with their preparations for their VCP4 exams and were asking if I planned to do the same for the VCAP exams. So I have created a dedicated page for all the resources I will be using in my preparations and will constantly try to update it with any new resources I find. The page has only been up for a month and a half and already over 1000 people have viewed it which is really great and hopefully it is helping people find out about great podcasts/blog postings/videos that will help them be prepared for the exams. Duncan Epping of Yellow bricks fame posted a very small but very important posting all about Storage IO Control Best Practices. If you attended either of the VMworld conferences then I would recommend watching the session Duncan speaks of in his posting “Tech Preview: Storage DRS” and another session i watched all about SIOC “prioritizing Storage Resource Allocation in ESX Virtual Environments using Storage I/O Control”. Speaking of SIOC Luc Dekens has posted a brilliant posting on how to automate SIOC. While at VMworld Europe Mike Laverick of RTFM.com fame went around and got himself a bag full of Swag and is raffling it all off in aid of UNICEF. The competition is open to anyone worldwide so go get yourself a ticket and donate to a very worthy cause at the same time. Eric Sloof posted all about the availability of the the Technical White paper for Application HA. My knowledge of Application HA has only started growing very recently after attending VMworld this year and actually seeing some of providers stands and exhibitions of the technologies and their capabilities. I haven’t as yet read the white paper but like so many of these great resources it is on my technical reading list. Eric has also posted a video of the installation of Symantec Application HA. During VMworld Europe David Davis of Trainsignal’s VMware vSphere Video Training fame was able to do a video interview with VCDX001 Mr John Arrasjid. 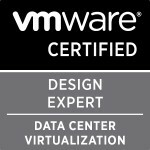 The video is a brilliant one for anyone looking to take on the VCDX certification as John is one of the main people involved in the VCDX and gives great insight into the certification and how it is all done.Jason Boche was also interviewed by David at VMworld US all about the VCDX certification here. These are two really great resources and have been added to my VCDX study list . Speaking of Jason Boche he posted a brilliant posting all about the conversion of CPU ready to %RDY in ESXTOP. I am currently learning and strengthening my knowledge on ESXTOP and how to utilise it for my daily job and Jason’s posting is a great resource for learning all about how the %RDY value is calculated. I would recommend reading through a posting I did a while back about Understanding and using ESXTOP/RESXTOP as this will give a great base knowledge before going through Jason’s posting. Steve Jin of DoubleCloud.org Fame posted all about using vSphere APIs to Collect vCentre and ESX Logs.After having attended the VMware vSphere: Manage and Design for Security Course last week I’ve gained an even keener interest in learning all about collecting logs for security reasons as well as troubleshooting reasons and Steve’s posting was right on time for my interest in learning more about it all. I would recommend everyone learns how to do this as it will be a life saver at some point for you. Vladan Seget posted all about a whitepaper by VMware on the top ten most forgotten things when building your disaster recovery plan. The white paper is a really great resource and has some very good pointers and recommendations when you are building out your disaster recovery plan. If you have a disaster recovery plan or are planning one then I would highly recommend reading the white paper. The next is an unusual one but one that I experienced myself and therefore feel I should link to it here even though I have already added it to my Upgrading from ESX,VMware Update Manager and Virtual Centre 4.0 to Version 4.1 posting. VMware have put out a KB article on an error where after upgrading your Virtual Centre Server to version 4.1 the transaction log for the vCentre Server database grows excessively large. Thankfully someone posted the KB article on twitter and i noticed it and fixed the problem before it severely impacted my Virtual Centre server. Bas Raayman posted some really nice installation tips for installing VMware vCloud Director. I am yet to install vCloud Director to my home lab and so the installation tips are now part of my build documentation to go through when i finally get round to installing it. Duncan Epping of Yellow-Bricks.com fame posted one of the best articles of the year over a week ago now all about VMotion, the story and confessions. The post covers the initial idea and building of a VMotion(misspelling intended) prototype to a number of top bloggers confessions on how amazed they were when they first saw or heard about VMotion and how it has impacted their work life and for some their career paths. Well that’s all the postings of the past few weeks that have gained my interest. Categories: Virtualisation | Tags: %RDY, Application HA, disaster recover plan, ESXTOP, NTP, PowerCLI, SIOC, transaction log for the vCentre Server database grows excessively large, VCAP, VCAP-DCA, VCDX, vCloud Director, VCP4, virtualization, VMotion, VMware, VMware API's, VMworld | Permalink. There has been an unbelievable amount of news in the past week and a half since my last All Things Virtual. Also i came across one or two blogs in the past few days that were a bit older but have so much great information in them I’ve added them to this list also. I’m very fortunate to have become a part of a very current and global company like EMC due to the company I worked for being bought by EMC. If you are like i was and always wanted to join a big international IT company at the forefront of the industry then Chad Sakacc’s posting about the more than 200 open positions at EMC,EMC partners and VCE will be of interest to you. There are some amazing roles open especially in my opinion the latest vSpecialist roles to be filled as the vSpecialists are definitely one of the “elite” teams of Virtualisation professionals which I hope one day soon I can become a part of. Chris Dearden has done an in depth blog posting all about Kaviza VDI in a box V3. If you haven’t heard about Kaviza they won the best of VMworld 2010 Desktop Virtualisation award and has been rated very highly by a lot of top people in the virtualisation industry. Chris has done a great posting all about the features and also just posted about the latest release of it version 3.1. If you didn’t read my last All Things Virtual then you wouldn’t know that the registration for the VCAP-DCA exams were due to be opened on September the 13th as mentioned by Scott Vessey on his blog. You can register here for the exam. A few of the guys I follow on twitter have already registered. I’m personally waiting quite a while until i feel confident enough in my knowledge and having got through and confidently ticket off all the things on the VCAP blueprint with links as created by by Kendrick Coleman. Eric Sloof posted all about test questions for the VCAP-DCA exam on his site, which will be a nice way of doing some practice before the exam even though a large part of the exam is doing labs. Cody Bunch has started registrations for the VCAP-DCA brown bags consisting of 18 sessions run on a bi-weekly basis starting next week Wednesday (30th of September). I have been through quite few of Cody’s VCP and VCDX brown bags (recorded due to the times they have been running) and they are going to be a brilliant resource in my preparations for the exam. David M Davis of the Trainsignal vsphere training materials fame has done a very interesting video all about VMware ESXi 4.1 Lockdown and New Total Lockdown Mode. this video is great for someone like me who is having to build and strengthen their knowledge all about ESXi seeing as I’m an ESX only user so far and with the next release not having ESX included.Eric Siebert has posted a great posting all about Upgrading hosts from ESX to ESXi in seven steps. This is brilliant for the exact same reasons of learning ESXi die to ESX being discontinued. The talk and blogging about VMware vCloud Director is still going strong since VMworld and there have been some top class blogs all about features,fixes,lab builds and hardening guides. William Lam has done a posting all about automating the installation of vCloud director and the oracle database. Duncan Epping has posted about the vCloud Director security hardening guide. From what a number of people have been saying on twitter this is a must read before using vCloud Director. I am yet to get round to it as I’m still trying to finish building my test lab of the product but as usual the guide looks like a brilliant resource.Duncan has also posted about creating a vCD lab on your Mac laptop. I’m not an Apple Mac person myself but I’m sure a substantial amount of people will find this posting very interesting. Mark Vaughn has posted all about a challenge he has made for someone to try make a mini version of the VMware Express truck. If you haven’t heard about the VMware Express tuck then read about it here. Mark is challenging someone to create a smaller version and try put it into a Mini Club-S. I along with a large number of people judging from the talk of it on twitter would love to see this achieved so if you feel up to the challenge then check out his blog and please tell me when it being started and keep me up to date on it’s progress as this is a brilliant idea and highly interesting concept. Frank Denneman has done another brilliant posting all about Resource pools and simultaneous vMotions. I’ve posted a few of franks previous postings on the topic and i would highly recommend reading through his latest posting on the topic as i know a large number of people and see a very large number on the VMware communities still believing setting values and limits for resource pools as well as using resource pools for organisation. Duncan Epping has also done a posting all about the misconceptions of the amount of memory allocated to the service console and how it is actually calculated. a nice little bit of information possible for someone writing their vcp or VCAP soon as they love these arbitrary kinds of questions in the exams. Due to vCentre 4.1 now requiring the base Os to be x64 a number of people are now needing to upgrade their vCentre to a 64bit server.Barry Coombs has blogged all about the VMware document detailing how to achieve it and some of the points of interest he feels you need to pay special attention to.Thankfully due to my vCentre needing a rebuild a while back my vCentre is already 64bit. If you like a large number people seeing as how much traffic I get to the posting you may get an “Active Directory Web Services encountered an error while reading the settings for the specified Active Directory Lightweight Directory Services instance. Active Directory Web Services will retry this operation periodically. In the mean time, this instance will be ignored.” error and will need to make a few registry changes to fix the error as defined in my blog posting. Alan Renouf has posted all about the latest PowerCLI 4.1 Poster and Quick Reference Guide. This guide is very useful to me due to my trying to teach myself Powershell/PowerCLI and the learning of these commands for my usage due to the removal of the COS soon. Alan is obviously one of the top guys for PowerCLI and as I’ve mentioned loads of times before if you aren’t using his vCheck program then you need to start using it ASAP. Next is the availability of the schedule builder for VMworld Copenhagen for all the attendees. I’ve already started playing around with my schedule trying to get in the sessions and hands on labs I want to attend and do ,as well as leave some time for social networking as one of the big things about the conference for me is meeting all the people who I follow and chat to on twitter and whose blogs I have and still learn so much from.If you are a blogger or social media contributor and are attending or will be blogging about VMworld Copenhagen then remember to add your information for the VMworld Europe 2010 Social Media Contributors. Duncan Epping of yellow-bricks fame has a contest to win yourself a free VMworld Copenhagen ticket so if you aren’t attending and wish to attend but for whatever reason couldn’t afford it then go check out his posting on the contest here and hopefully I’ll meet you there at one of the events. Talking of events at VMworld the Danish VMUG have taken on a crazy task and have opened up a VMUGParty for all VMworld Copenhagen attendees with free beer and cold drinks sponsored by EMC, Trend Micro, Magirus, IBM and Veeam. I have a feeling this pay get out of hand with the amount of people invited but I’m planning to make it myself and hopefully i can meet you. Chris Dearden has come up with a very clever idea of instead of exchanging information and business cards at VMworld to exchange self created t-shirts and maybe by the end of the week you’ll have yourself a couple of very cool shirts with your fellow VMware bloggers websites on them. Categories: Virtualisation | Tags: EMC, ESXi, london VMUG, PowerCLI, resource pools, VCAP, VCAP-DCA, VCD, vCloud Director, VMotion, VMUG, VMware Express, VMworld copenhagen, VMworld Europe 2010 Social Media Contributors, vReference | Permalink. Well after the not so quiet news about vSphere 4.1 being due for release, shock and horror it’s been released. As there are a multitude of people that have had the the opportunity to play and use the RC for a while and therefore have a better understanding of all the new technologies and features I thought I would just summarise all the postings that explained all the new features to me and interested me as there’s sadly a very large number of the RC-enabled bloggers that have almost just cut and pasted the same information from a What’s New news release/PowerPoint slide deck into their blog posts. Eric Siebert has posted I think the best resource and posting of all the features and all the changes since the last release/s. It has all the detail you could need and it is being constantly updated by him on the new features. This is what I hoped many more of the top RC-bloggers to have done. Eric Sloof has posted all about the KB articles pertaining to this release. These links are always a great way of learning the best practices for installing and or upgrading your environment to the latest level and warning of possible problems. This is a page I have set a bookmark to for future reference. Eric has also posted a load of amazing postings all about the Emergence of 10 GigE ,improved vMotion speeds , Memory Enhancements – Compression. I would highly recommend reading these as he’s given some really great details all about these features. Gabrie van Zanten has done a brilliant posting with all of the features and comparisons of the varying versions you can choose and the features they contain. As well as all the new features in the new release. Maish Saidel-Keesing has posted up screenshots of the PowerPoint presentation a lot of people are reposting the information of the new release from but has done the New features and enhancements for ESXi 4.1 side of it so it is an interesting read to see how VMware believe ESXi is good enough to push all their current full ESX customers to ESXi. I still can’t see it happening and no matter what anyone says I think they’ll make plans to accommodate people who don’t want to change as not everyone can change over their whole environments in a short space of time and I know a few people who are still to upgrade to vSphere and they are all very large corporations. On the training side Scott Vessey has posted that there will be a new Install Configure Manage course for vSphere 4.1. I asked if the new VCAP and the VCP4 exams will now be related to 4 Update 2 and 4.1 on twitter and Scott replied with loads of information as per usual. Well that’s all the best bits and information I’ve come across, I’m sure there will loads of postings in the coming weeks and months about it all. I’m already downloading it to test out in my lab. Hopefully they don’t bring out 4.1 Update 1 too quickly as it feels as soon as I’ve patched and upgraded all my hosts a new update or version comes out. *UPDATE* Eric Siebert has done an INSANE list off all the links and news for 4.1 on his site here. 🙂 Killed my list by miles. Categories: Virtualisation | Tags: 4.1, ESXi 4.1, PowerCLI, PowerCLI 4.1, VMotion, VMware, VMware vSphere 4.1 | Permalink. Just a very quick posting about a problem we were experiencing on the weekend while doing some VMware upgrades and what the solution was. We were upgrading our virtual centre and esx hosts to version 4, we had upgraded the esx hosts to the latest version of ESX3.5 prior to upgrading the virtual centre sever as this is a prerequisite for the agent to communicate with virtual centre 4. We upgraded the Virtual Centre server without any problems and rebooted the server. We logged back in and started to now try migrate vm’s from one of the esx hosts to another so that we could start the upgrading of the ESX hosts to vSphere. We selected a low priority vm initially to make sure vmotion hadn’t been affected and selected migrate,once we got to the destination selection page, as soon as we selected a host to move the vm to the server thought about it for about twenty seconds and then dropped us out of the vicleint session. We tested from differing boxes to others and it was affecting all VMotioning between the hosts. I checked the task manger services tab of the virtual centre as we tried the VMotioning and each time the vpxd service would double in processing then stop thereby kicking us out of our session and a manual restart had to be done. After speaking to a colleague Simon Phillips he mentioned something him and I had done for another of our environments where we removed the hosts from the virtual Infrastructure and re-added it so that the agent could reconnect after we had done upgrades. We tried to do this but there was an ESX3.x cluster in place. Luckily it had no configurations so we removed the cluster with the hosts included from the environment(as this is obviously unavoidable unless the hosts are put in maintenance mode) and re-added the hosts one by one without any problems. Once we had done this we tried the migrations again and they worked perfectly. So it was either down to the old 3.5 cluster causing problems now that virtual centre had been upgraded or the re-adding of the hosts to the environment helped upgrade/reconnect the host agents and allow VMotion. We did scour the web for anyone or any page mentioning this but we never came across it so hopefully this helps someone save some time or a call to VMware. Categories: Virtualisation | Tags: virtual centre upgrade, VMotion, vpxd, vpxd service crashes during VMotion, vpxd vmotion | Permalink.